If you follow me on instagram, you have seen we're currently in Mexico! Well, actually we're driving home today but spent our weekend there with some friends enjoying the sun and great relaxation time. It was our last little trip before Emery arrives so Andrew and I had to soak up every detail of the kid free vacation time- haha! Next week, I'll be sharing a full week of Mexico details of all the places we love to visit and would recommend to close out summer on the blog. I'm really looking forward to it so I hope you are as well! I love those sandals! Are they really from Target? They look so high end! Have an awesome vacay! So beautiful! 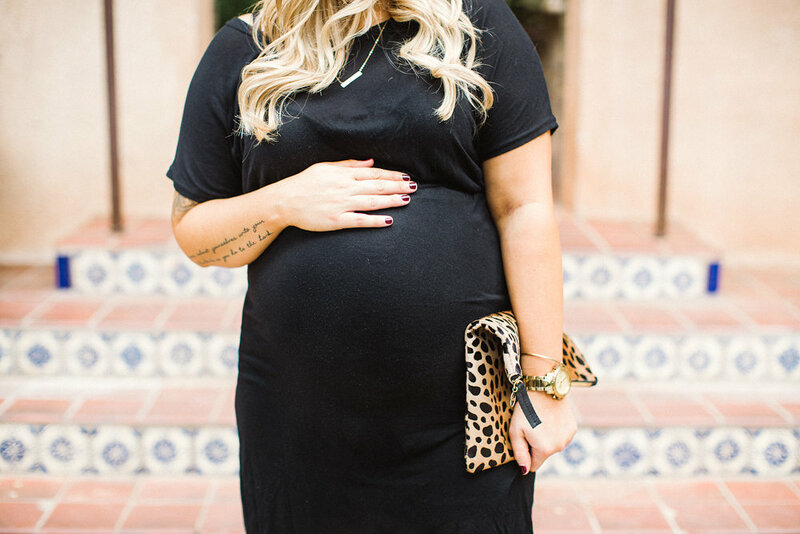 I love the LBD on you, and that clutch! I hope you had a wonderful time in Mexico!